An expanding privately-run dealership group has opened the UK's newest Renault and Dacia franchise in North Yorkshire. territories in a move that has created 10 new jobs. The ambitious independent company is also planning to open a second dealership with Renault and Dacia in Darlington by the end of the year. The new franchise is the 11th new partner to join the Renault Group franchise in the last 12 months. It adds to the seven dealerships RMB Automotive already has across Teesside and North Yorkshire. "Our new showroom in Northallerton looks great and we are really pleased with the results of months of hard work. Customer service is massive for us and I’m sure people will enjoy coming here to this fantastic facility," said Robert Bennett, MD, RMB Automotive. "Renault and Dacia have a fantastic range of cars and the quality is higher than it has ever been. There are more exciting models coming our way in the next year or two so I’m looking forward to a successful partnership in the future." 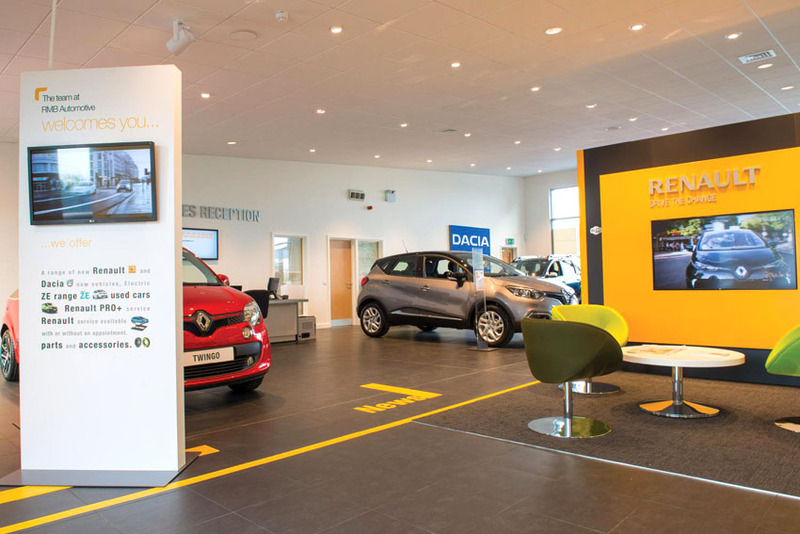 The new six-car state-of-the-art showroom is one of the first in the country to offer the Renault Store retail concept, which is divided into zones, making it easier for the customer to see what they want. Interactive displays and the chance to use the tablets provided also help improve the customer experience. Darren Payne, Sales Director, Renault Group UK, added, "We are thrilled to have a well-established and successful dealership like RMB Automotive join the Renault Group UK network and strengthen our presence in North Yorkshire with their fantastic new showroom." "Expanding our dealer network is a key part of our GO5+ strategy for sustainable growth. This is an exciting time for Renault Group in the UK with our sales this year again growing significantly ahead of the market growth as our outstanding range of Renault and Dacia vehicles continues to find favour with many new customers to both brands." Prominently located on Thurston Road, Northallerton, the new dealership has a blend of experienced Renault staff. Outside there's ample customer parking and a forecourt stocked with more than 60 quality-assured pre-owned cars.